Change is coming, but not all change is bad. At the moment, Aston Martin doesn’t have a single hybrid offering. Nothing. Nada. But that’s all going to change by the middle of the next decade, according to a report from The Financial Times. Aston Martin CEO has officially gone on record stating that “We will be 100 percent hybrid by the middle of the 2020s.” Furthermore, 25 percent of all Aston Martins are going to be full-on EVs “by the end of the next decade.” All the more impressive is that Aston Martin is doing this entirely in-house instead of teaming up with, say, Daimler, as it’s currently doing with V8s. “You need to keep core technology inside the company,” Palmer continued. “That’s why we make our own V12 engine. We believe that EVs are a core technology, and therefore we want to do them ourselves.” Respect. While some of the electric motors components will come from suppliers, the battery packs and motors themselves will be produced in the UK. 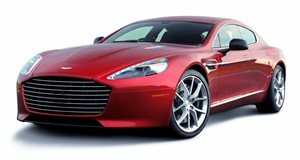 It’s a fair assumption that the first all-electric Aston Martin we’ll see is the RapidE, which is being aimed directly at the Tesla Model S. But perhaps the biggest piece of news Palmer confirmed is that Aston Martin is currently working on a mid-engine supercar to rival the Ferrari 488 GTB and McLaren 720S. However, it’s not due to launch until sometime after the DBX crossover, which is slated for a 2019 debut. Put two and two together and it’s obvious this mid-engine supercar will have hybrid tech, paired to an also confirmed new V6. We honestly wouldn’t be surprised to learn that it’s being engineered to handle full-on electric power as well. It’s nice knowing Aston Martin will develop all of this tech in-house, a clear sign that everything dear to the company still matters.